Somehow the lyrics of the Creedence Clearwater Revival (CCR) song seems to speak quite well to the modern-day Proud Mary in Collingwood. Although the tribute to the famous Mary Elizabeth II tow ship, otherwise known as the Proud Mary in the hey day is clearly about a Mississippi tow boat, I find the chorus lines match up quite well to how the baristas line up behind their $40,000 custom made Synesso espresso machine in the new Proud Mary. It is the ultimate coffee machine. 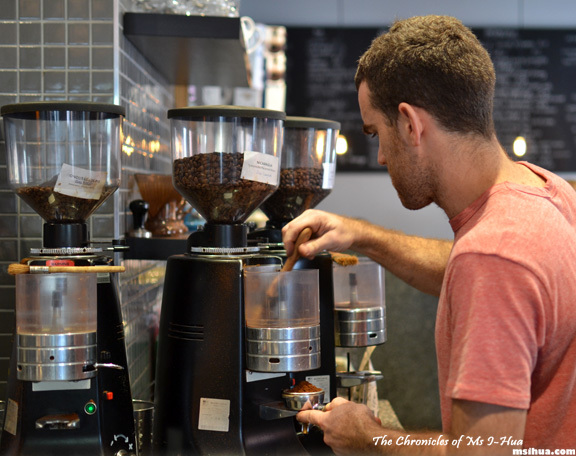 The machine is a combination of two of Synesso’s three-group espresso machine which has been melded together and comes with a foot peddle-operated steam wand!! As you are well aware of (from most of my cafe posts anyway), I am always on the hunt for great coffees. Proud Mary is by no means new to the scene, they’ve been around since Nolan Hirte opened it in 2009 (he sold Liar Liar to St Ali and founded Proud Mary), but I haven’t been able to find time to pay it a proper visit. So one fine sunny morning, the Boy and I high tailed it across the river to good ‘ol Collingwood. We got there at about half past nine and already a crowd was forming. Luckily for us, we didn’t have long to wait and we were soon ushered to first class seats in the house. We were seated right on the bench in front of the Syphon Bar and various coffee grinders. Best seats in the house if you want to watch where all the action happens! Enough with the gushiness with the toys of this place. Onto the coffees itself! To start us off the day, the Boy and I each had a latte. Whilst I had the delicate and sweet blend of Angel Wings – Costa Rica El Salvador & Guatemala version, the Boy went with the darker Blend of the Day which was a Moka Java Sumatra & Nicaragua coffee. I was happy with mine as I usually order single origins of the El Salvador or Guatemala, so having a blend of these two was a good choice! 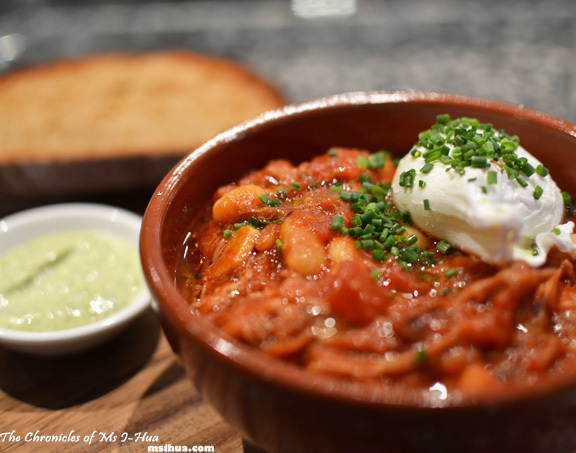 For my breakfast, I had to order the Pork Neck $16.50 – smoked pork neck & bean fabada, a poached egg, sourdogh toast and green aioli, I just had to. I absolutely loved the green aioli and practically smothered my toast with it whilst I topped it up with the pulled pork neck. Such a lovely dish to start the day with. 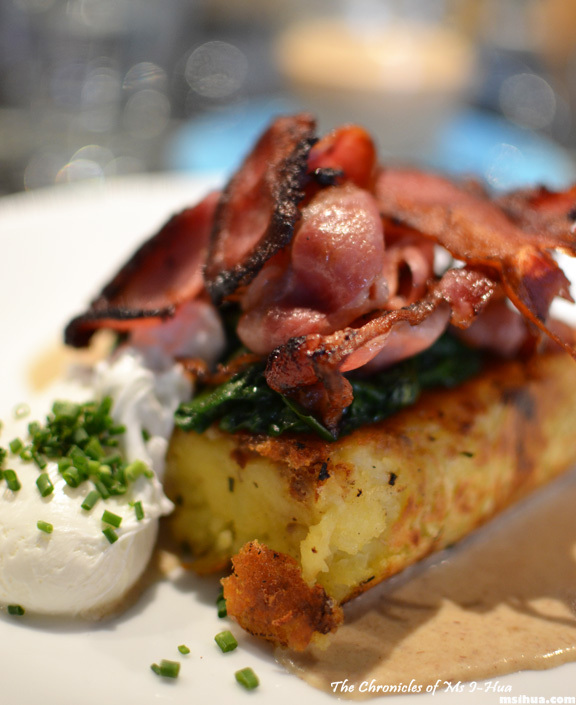 Whilst I was ooh-ing and aah-ing my food and day dreaming of being a barista, the Boy was enjoying his Potato Hash $16.50 – Bacon, buttered spinach, poached egg and bagna couda. His hash was lovely and I tried really hard to distract him so that I could steal some, but alas, he was too quick and blocked most of my attacks! With our bellies sated, we were back to staring longingly at all the coffee toys in Proud Mary. 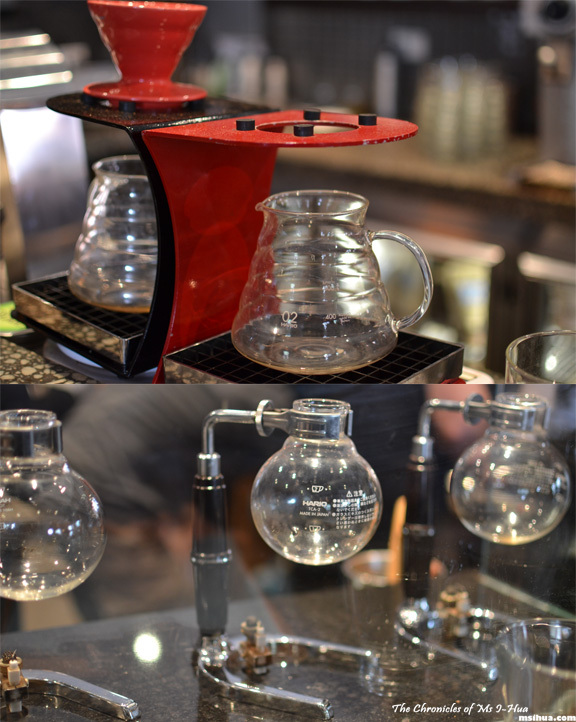 At this point, I wasn’t sure if I wanted a pour over, a syphon, a chemex, cold drip or a simple French press. However, as we were after all sitting in front of the syphon bar, it would have been extremely rude and disrespectful to the syphons in front of us to not order a syphon coffee. So I did what any sane coffee loving person would do. 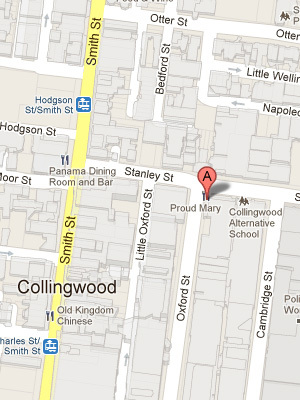 I placed an order for the most expensive coffee there was at Proud Mary. Ta-Dah! An extremely light and delicate clean tasting Panama ‘Santa Teresa’ Geisha $10 with floral notes, as well as honey, rock melon and creamy vanilla. Would we be back? Of course! 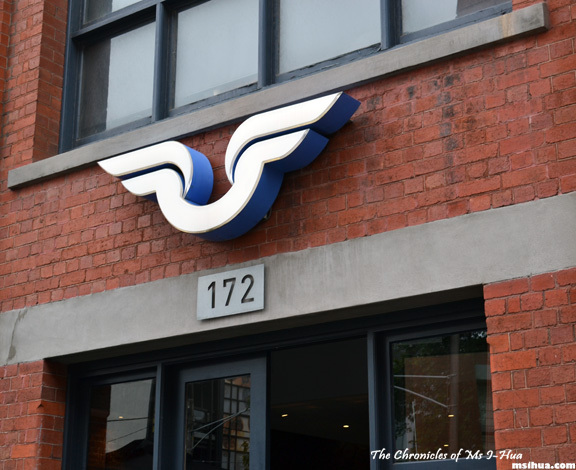 Staff were delightful, baristas were passionate and hard-working. Food was good and delicious. Oh and they have a Clover too! Food is good 🙂 Coffee? EXCELLENT! They are! Now I want one to play with at home! Yes.. good zesty beans. 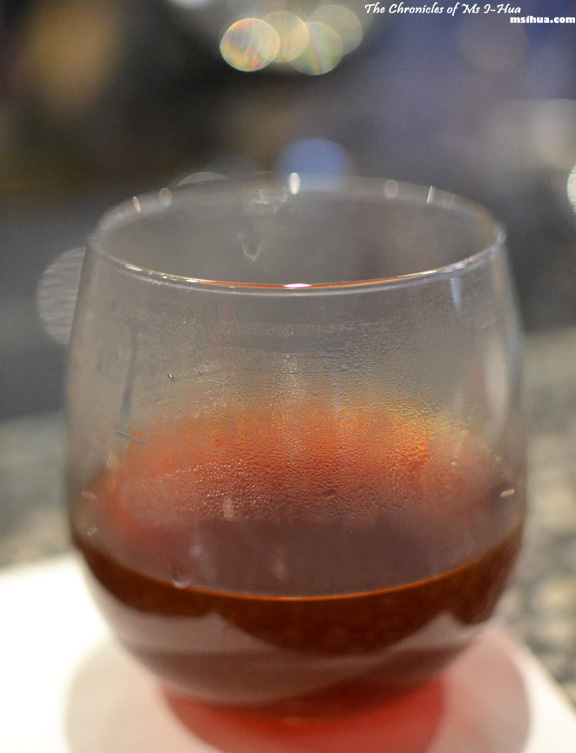 And I can attest to the delicacy of Geisha coffees, my cold drip at La Flaneur was magnificent! Yes! So can I.. can’t wait.. La Flaneur says they’ll be having the geisha on cold drip for a few more weeks! mmmm I love 5 senses coffee too. yup, great food here! How good is their hash? Love that you tried to distract your man so you could eat it haha. It’s usually his bacon I try to steal, but that hash is sooo good! 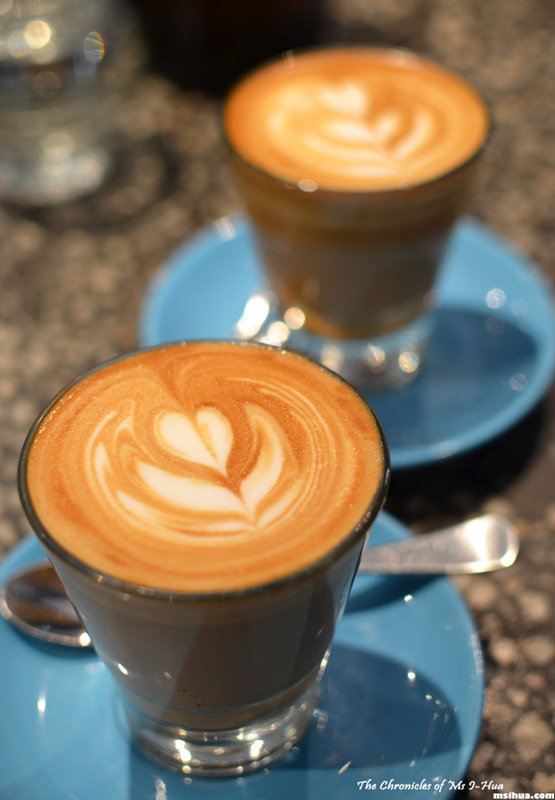 Wow a $10 coffee – that is super expensive but then again it does look super good. It’s definitely worth it, if you’re a coffee geek! Oh criminey. I just realised I need to book flights for next week, don’t I?! I’ve heard great things about Proud Mary so it’s another to go on the wishlist for me :D. Those machines look like something out of a science lab lol I don’t know if I’ll ever indulge in a $10 coffee but it does sound delicious! i love geishas too! they are like the lafite rothschilds of coffees, IMO! Mr Bao has been enticed by your photos and lol Proud Mary is high up on our go to lists when we come back 🙂 My mouth is watering for the pork neck!!! Wow the coffees look amazing! I see they also have syphons, I only just had my first taste at St Ali the other week. 😀 I must say, they look very nice. 🙂 Love your photos! We love Proud Mary! I’m yet to sample syphon coffees. I’m worried it will open up a whole other avenue of coffee love for me to get addicted to. Already can’t believe how much coffee I drink now considering 2 years ago I was a coffee-teetotaler! Now you’re an addict! Yayy!!! Oh I found a place last week which will be great for kids and prams!!! This place is gold. GOLD! Love the coffee and the superb food. So worth the wait. Adrian (Food Rehab) recently posted…How to Eat Like You’ll Never See Food Again: FEASTivities 2011! I agree! It’s gold! GOLD!!! !